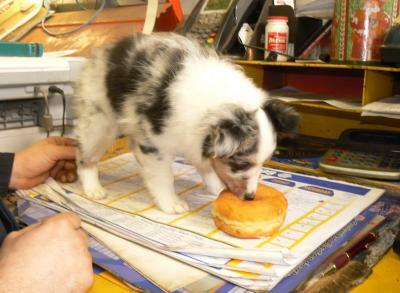 At Herdabout Shelties we take great diligence in how we raise our puppies. 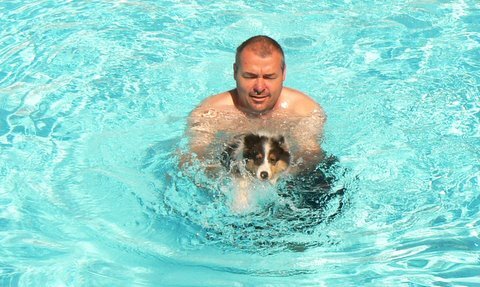 We strive to breed litters and raise puppies that have good temperaments that are well suited for a working career or just a well adjusted member of the family. We start off with the pups at 3 days old by using the "Super Puppy" Early Neurological Stimulation www.breedingbetterdogs.com This is done until the pups reach 16 days of age. five week old puppy snuggles with several new friends. Energetic with a higher drive for working and learning. Not sensitive, or reacting negatively, to different sounds or textures. 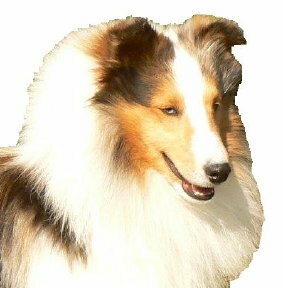 Have a stronger chase, follow, prey drive, and herding instinct. Resilient and environmentally stable when exposed to new objects and different places. Focused and show intensity in play and training, such as games of Tug-O-War. Willing to please. Can show evidence of boldness but not become so independant that they do not respect their owners / trainers. Able to problem solve without becoming frustrated or destructive. 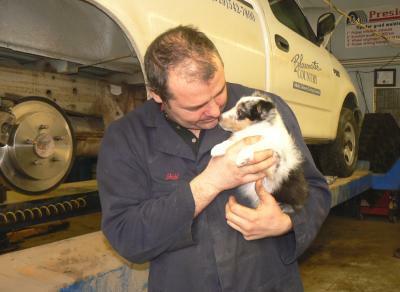 Each week brings the puppies into a new stage of learning, and we change our levels of exposure and duration of handling to accommodate their daily and weekly developments. 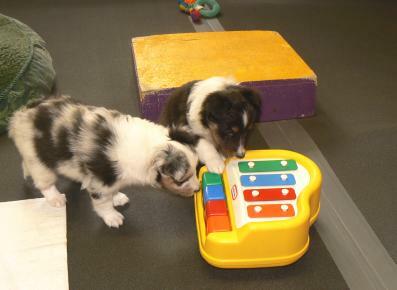 New sights, sounds, textures, smells, and tastes are exposed to the puppies everyday. 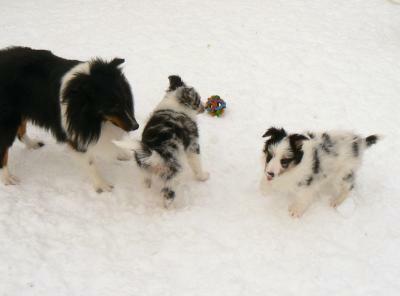 Even in the winter, on the warmer days, our puppies get "play and explore time" outside with their mom. By the time our puppies are ready for their new homes, they have walked on many different surfaces, eaten from many different containers in many different places. They will have been exposed to many different sounds, visual stimulations and will have played in several different areas, both inside and out. 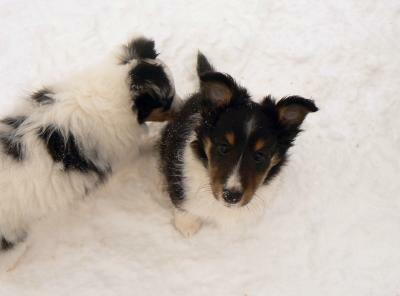 The puppies will be handled by, exposed to, and played with by many different people. 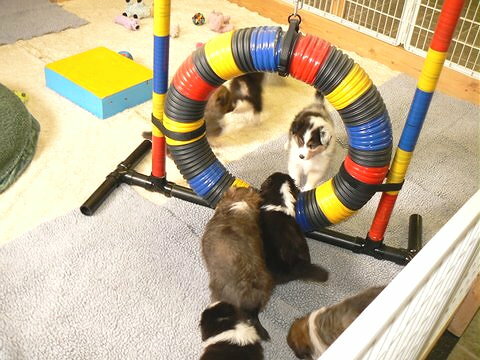 Besides playing with many different types of toys, the young puppies will have played on several pieces of mini agility equipment to help prepare them for a career in that sport. This is a great benefit to folks who are interested in pursuing Agility training. 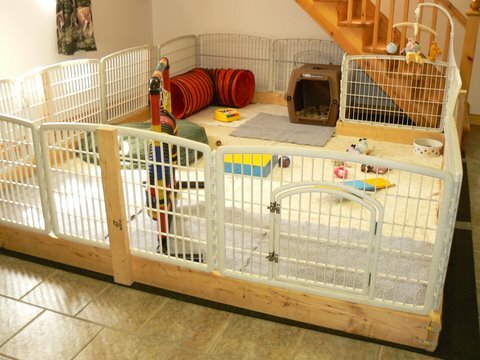 The Herdabout Shelties' puppy agility play pen. During week seven and eight, the puppies will start making short day trips to see the big world as well as traveling in a car and sleeping in a crate. We keep accurate records of each puppy and their individual reactions to the handling, which are sent along with the puppies to their new homes. Many new sights, sounds & smells here! 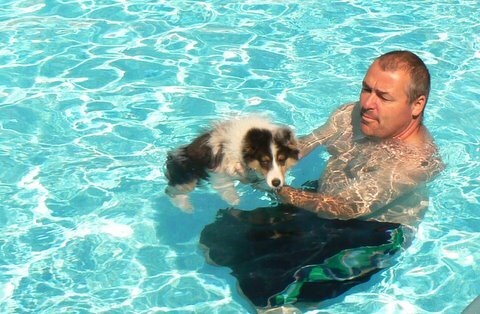 Summer puppies spend time with us in the pool learning to swim. We use the Ugo Potty Training System with our puppies. Not only does this keep our puppies and their pen clean, but by the time our puppies go to their new homes they are used to going in one spot. 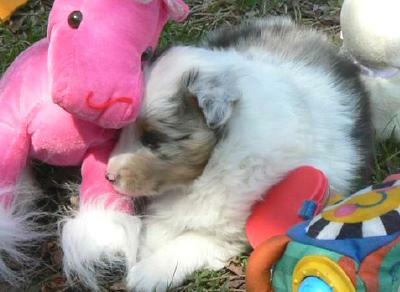 Herdabout Shelties' puppies get lots of learning and experience in their first two months with us. Want to see how our puppies are raised? 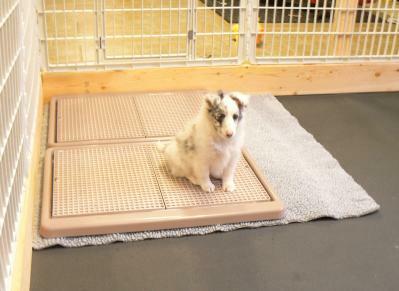 Watch this video of our puppies out in our puppy agility yard as they play in and on different pieces of puppy agility equipment learning how do walk on different surfaces, building good muscle tone and confidence. Please select one of the following options to find out more details.